“We’ve got LGBTQ [status] and age, so we really have two oppressions against us,” Dr. Imani Woody, 65, an African-American lesbian and LGBTQ activist in Washington, D.C., explained. “And when you put race and gender on top of that, it just gets harder. It gets to a point where you wake up and say, 'Which fight am I going to fight today?'" 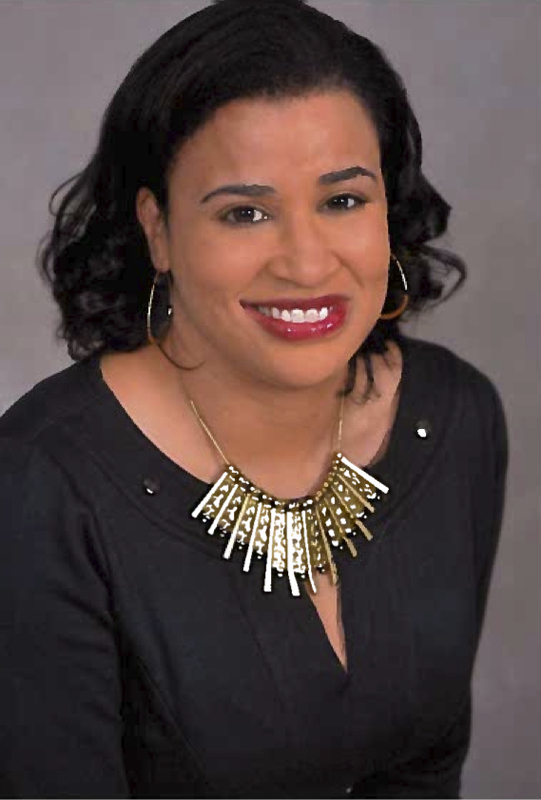 “African-Americans reported the highest levels of lifetime LGBTQ-related discrimination, and both African-Americans and Hispanics reported lower levels of household income, education, affirmation of their identities and social support compared to non-Hispanic white LGBTQ older adults,” said Dr. Karen Fredriksen-Goldsen, lead researcher on the "Aging With Pride: National Health, Aging and Sexuality/Gender Study." “[They both] reported higher levels of spirituality than non-Hispanic whites, and spirituality was found to be associated with their well-being. 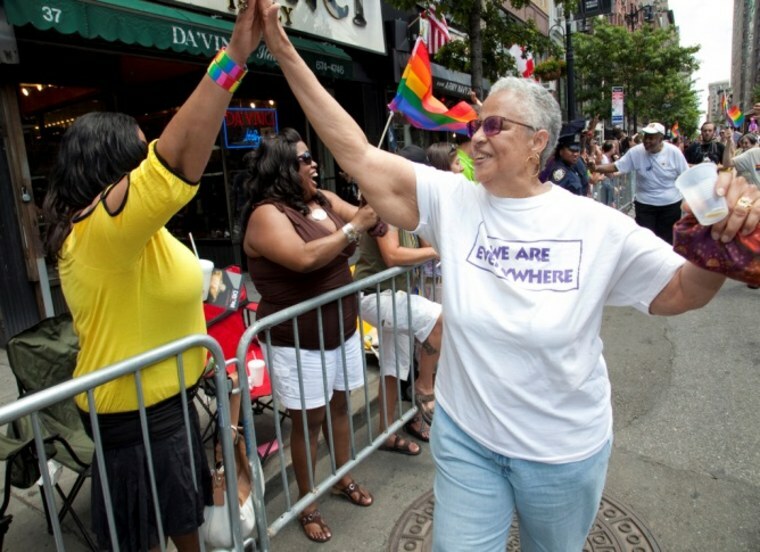 The findings indicate distinct challenges and resilience among LGBTQ older adults of color," Fredriksen-Goldsen explained. Jenna McDavid, of the Diverse Elders Coalition, said this information provides great opportunity: “Exploring more ways for faith communities to be inclusive could be monumental for so many elders in need of support," she explained. Dr. Imani Woody is working to raise $2 million to transform her childhood home into Mary's House D.C., an affordable, independent living home for LGBTQ elders. Plans call for 15 efficiency units and, on the grounds, a "stone wall," commemorating the 1969 historic Stonewall riots.Courtesy Mary's House D.C.
“People need to be able to be their true selves; being fearful and stressed impacts your quality of life and your physical and mental health," added Mitchell, who serves as a board member for New Orleans Advocates for GLBT Elders (NOAGE). Washington D.C.-based LGBTQ activist Dr. Imani Woody is hoping to raise $2 million through donations, including a "Brick-by-Brick" campaign, to transform her childhood home into an independent, communal housing for older LGBTQ adults.Courtesy: Mary's House D.C.
Dr. Imani Woody is trying to do her part to help LGBTQ elders. One way the advocate is trying to do so is by making that cozy retirement house Hayden Smith dreams of a reality. She's currently raising money to transform her childhood home into Mary’s House, an affordable, independent living home for LGBTQ elders in Washington, D.C. The plans call for 15 efficiency units, a “stone wall” on the grounds commemorating the 1969 Stonewall Inn Riots and a yellow brick road — a nod to days past when gay men would clandestinely identify each other by asking, “Are you a friend of Dorothy?" Hayden Smith and Cedric Burgess are ambassadors for Mary's House, which they both eventually hope to call home for themselves and fellow LGBTQ elders of color for many years to come. “It’s tough out there, but at least at Mary’s House they’ll have a family and a place to call home," Dr. Woody said. This article was written/produced with the support of a journalism fellowship from New America Media, the Gerontological Society of America and the Commonwealth Fund.